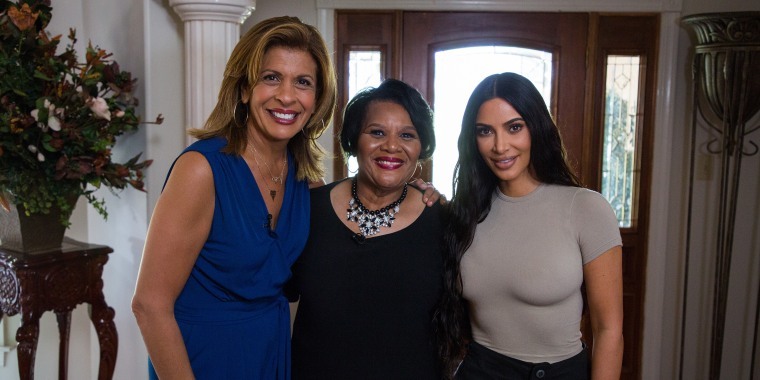 A week after being released from prison, Alice Marie Johnson came face-to-face for the first time with Kim Kardashian West and thanked her for the pivotal role she played in getting President Trump to commute her life sentence. The two had an emotional meeting before sitting down with TODAY exclusively for their first joint interview since Johnson’s release from a federal prison. The 63-year-old inmate had served more than 21 years for nonviolent charges related to drug possession and money-laundering. Kardashian West learned about Johnson’s story last year and declared it as “so unfair” in a tweet to her 60 million followers. The reality television superstar then decided to take up her case. “Because I knew that I had the resources to do that. It became this mission that I just didn’t want to give up,” she told TODAY’s Hoda Kotb.